University of York Learning Spaces: Flexible learning spaces: how do we do it? Flexible learning spaces: how do we do it? At the first Learning Spaces Roadshow, many of you repeated the need for learning spaces to be flexible. Most teaching sessions require a mix of different activities: listening to a lecture, having a discussion in break-out groups, working on a PC, undertaking an activity in a small group, etc. 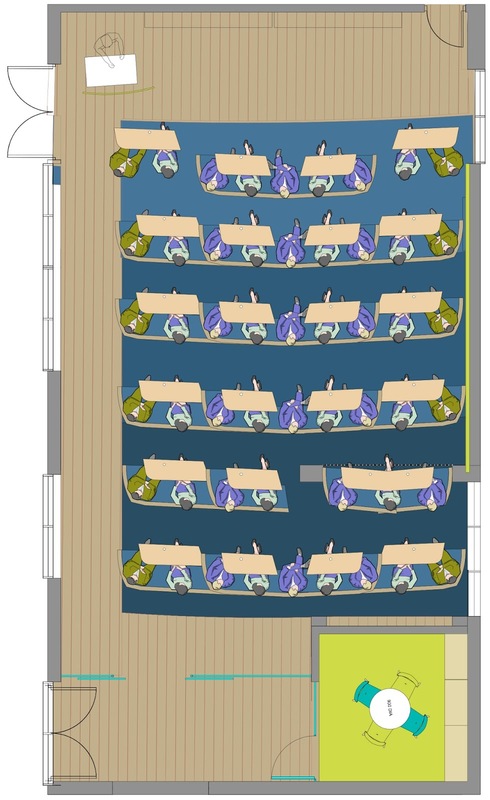 There are many different ways in which this can be achieved, including furniture, mobile or distributed screens, additional writing surfaces, good storage for bags and coats, and power to each seat. Over the Christmas holiday we will be completely rebuilding D/056, a small lecture theatre adjacent to the JCR in Derwent College. This project gives you a great opportunity to tell us what you want to try out. We’re really keen to test cluster seating. 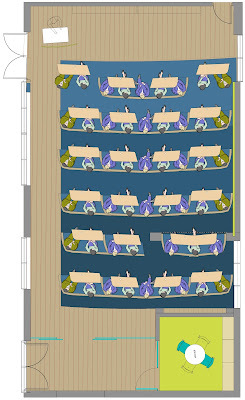 Cluster seating is made up out of booths that each accommodate three to four students, provide full-sized writing surfaces and has distributed power sockets. It encourages students to bring mobile devices, and encourages them to work and think together.